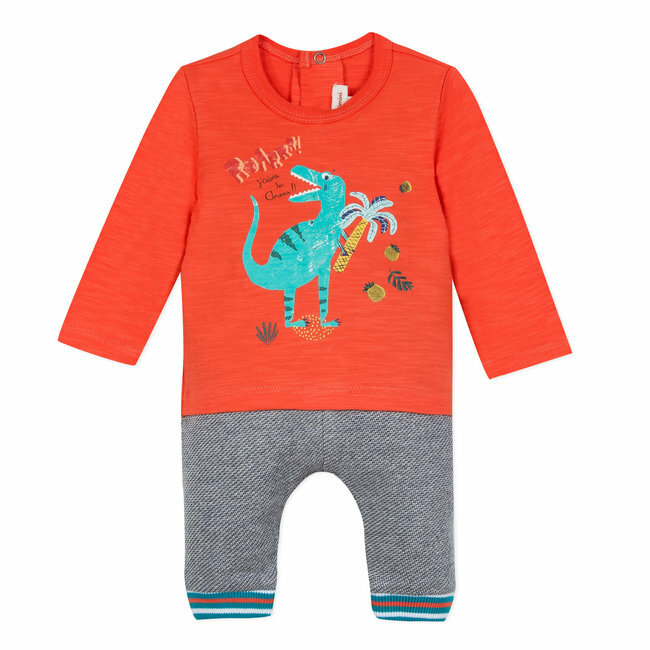 SHORT ROMPER WITH DINOSAUR PRINT | CATIMINI CANADA - Kidz Global Apparel Ltd.
With an aqua filigree on a supersoft flamed jersey, the dinosaurs are having a great time transporting little ones to a fantasyland. Romper with short sleeves and short legs. 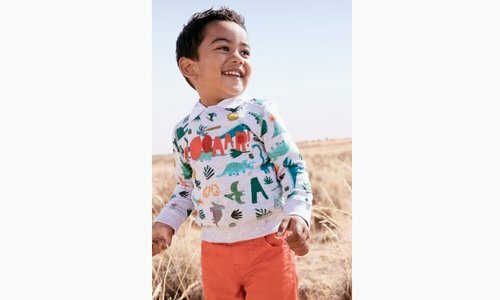 Flamed jersey knit, printed all over in filigree with colourful dinosaurs here a Read more..
With an aqua filigree on a supersoft flamed jersey, the dinosaurs are having a great time transporting little ones to a fantasyland. Romper with short sleeves and short legs. 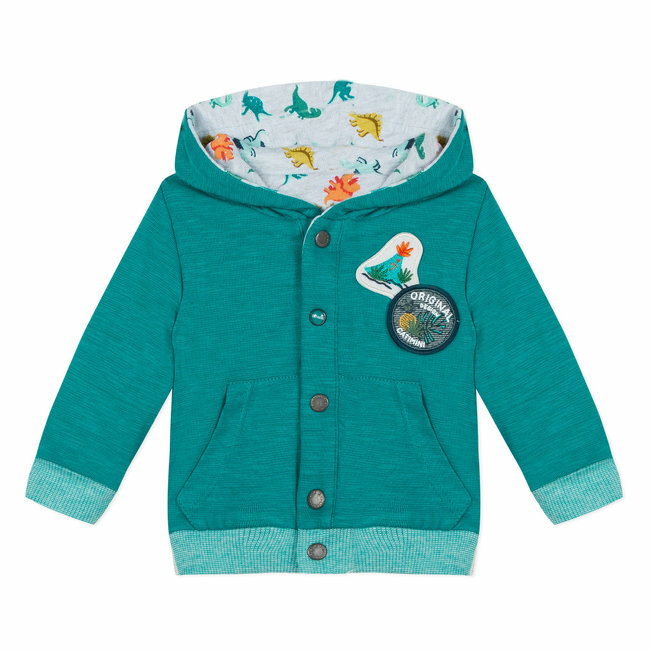 Flamed jersey knit, printed all over in filigree with colourful dinosaurs here and there. Neck and pocket tops in striped ribbing. 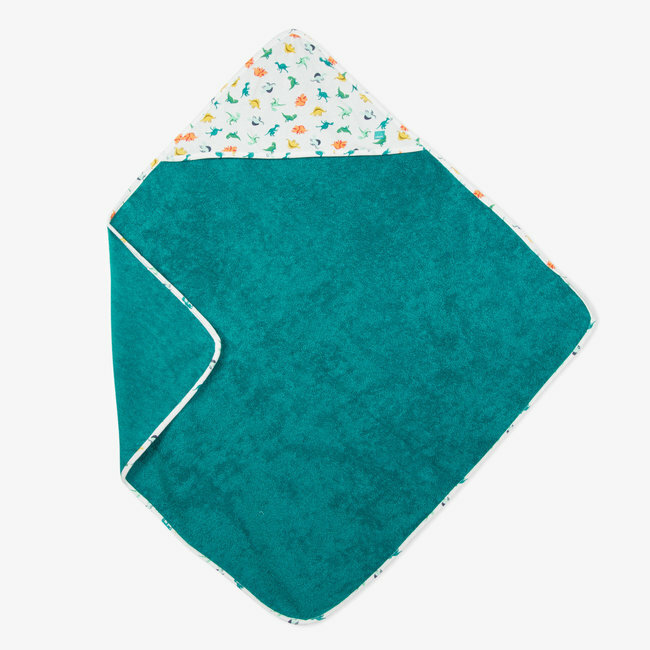 Press-studs to the front and the crutch for easy dressing and nappy-changing. Signed Catimini. 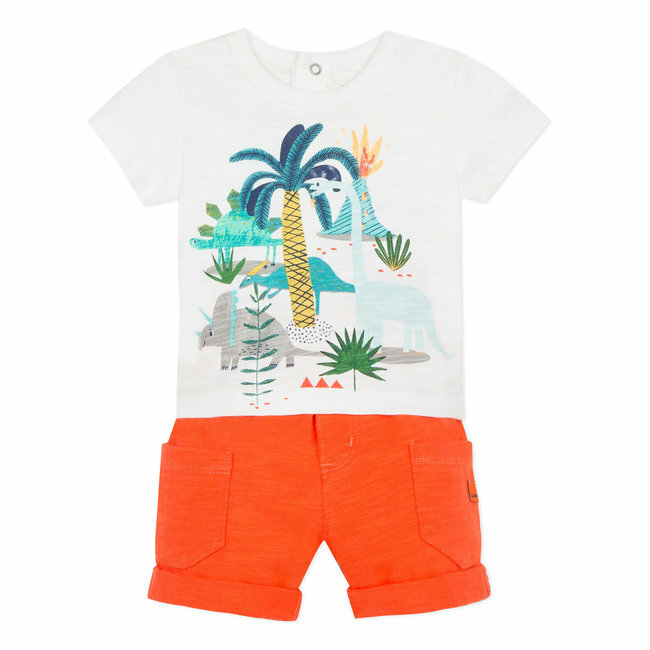 Summery two-piece for baby boys. 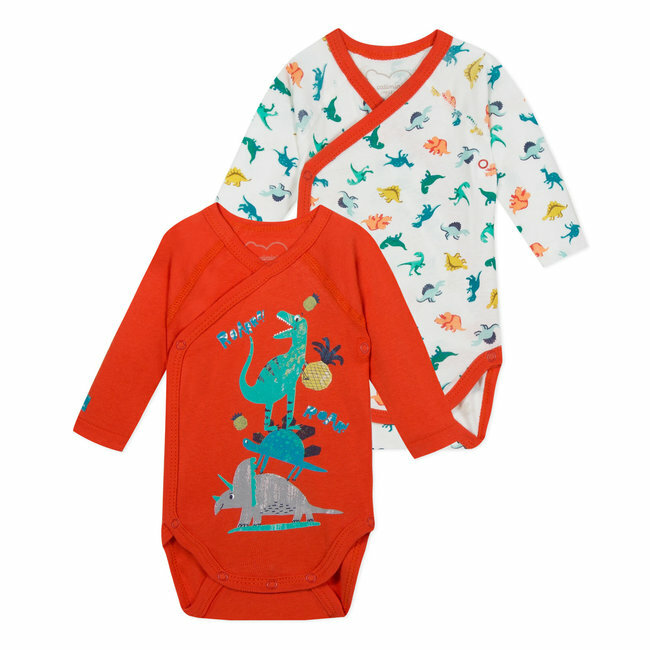 Short-sleeved T-shirt in mo..
2-piece set for baby boys: a long-sleeved tee-shirt with a f.. 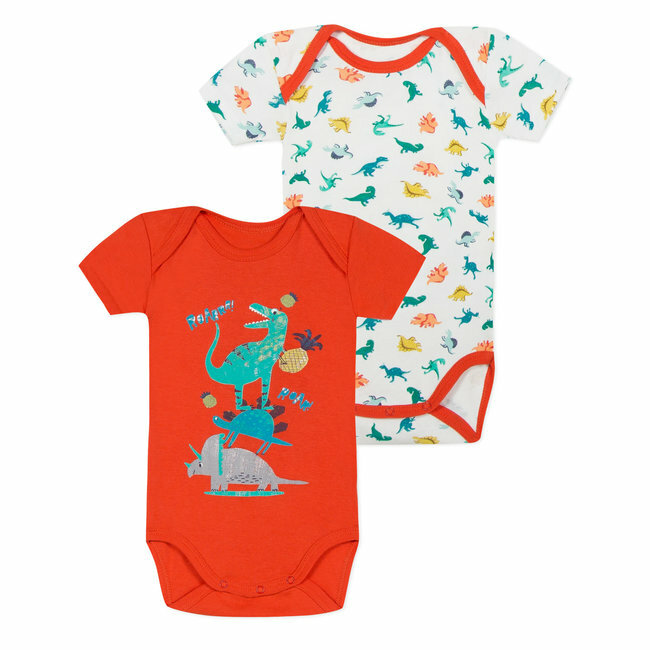 In graphic and colourful fashion, the dinosaurs venture out ..
SET OF 2 BODYSUITS, DOUBLE-BREASTED, DINOSAUR PRINT. 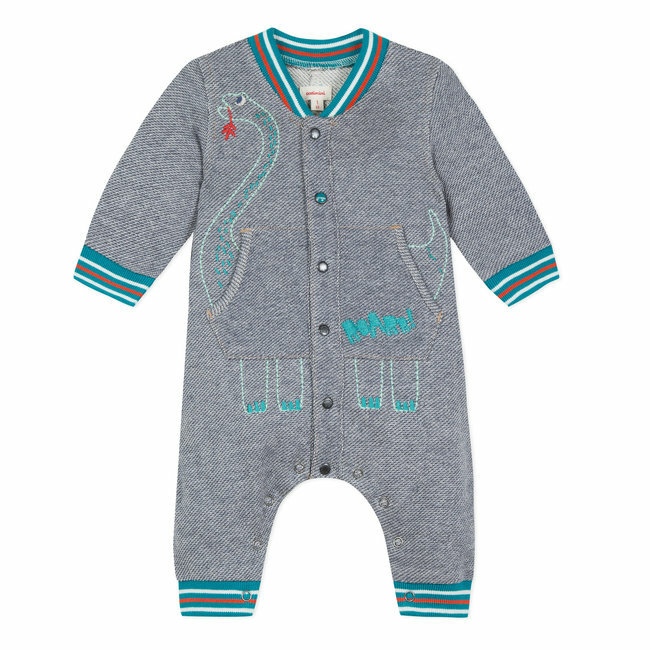 Set of 2 coordinating bodysuits in fine 1x1 ribstitch, soft ..
Set of de 2 coordinating bodysuits in fine ribbed stitch, so..
A customised look for this romper suit in denim-look fleece .. 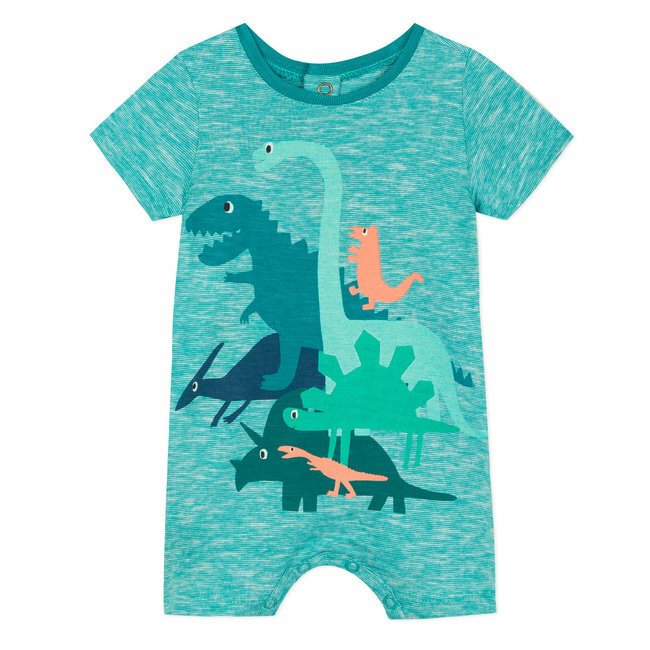 In the middle of an adventure amongst the colourful dinosaur..